Tesla’s recent layoffs were said to be a cost-cutting measure. 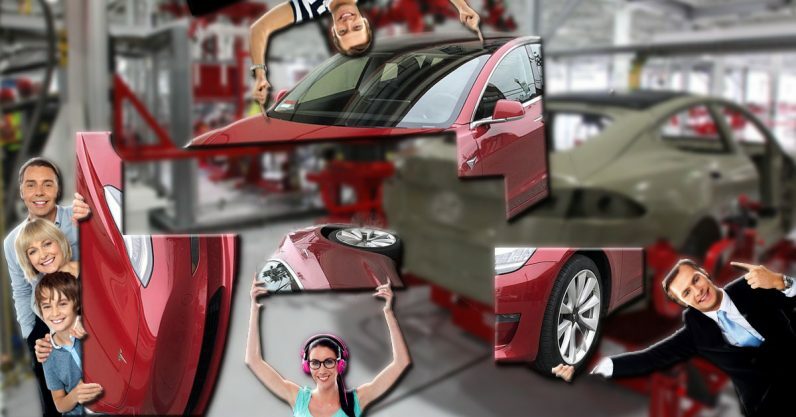 Is allowing people to build their own Tesla another one? Was thinking of offering an extended Tesla factory tour option where you could help build part of a car & understand how they come together. I know it would have been super fun for me when I was a kid (or now). It’s dark times for Tesla. Much to the chagrin of Musk the company has been treated entirely fairly by the majority of the media. That is, to say, it’s been ripped to shreds for everything from fatalities related to its vehicles’ poorly-named Autopilot feature to apparently being cursed by a vengeful fire demon. But, the idea of offering factory tours seems like something no member of the media could possibly take umbrage with. After all, Musk would have enjoyed turning a few wrenches in the Tesla factory when he was a kid, he says. We trust his intentions are pure. And, while it’s not everyone’s thing, some people (myself included) would absolutely love a tour of the Tesla factory. Sorry chocolate lovers, but a golden ticket to build Teslas with Elon is way cooler than a brown river and some free candy. Let’s be honest though, this might not even happen. Elon tweets about a lot of stuff, he could just be chatting with his adoring fans. And, since Tesla hasn’t offered tours before, it’s hard to know exactly what one would consist of anyway. Angelo Aroche, former employee, told Buzzfeed: “You see people sleeping in the hallway. They sleep in the car, or on the floor. … They sleep in the bathrooms. It’s a mess. It’s more hectic. The whole building is congested. The managers have come under real pressure to produce. It’s plain to see that people who’ve taken the non-public interactive tour of the Tesla factory are passionate about their experiences. And if there’s one thing every dangerous automobile factory needs, it’s tourists wandering around inside of it. We can’t wait to see what Elon Musk’s next crazy idea is, they’re always so much fun.